Friends, in case you haven’t noticed, today is different! At least here on the coast—the sun is out! I don’t know for how long but it’s beautiful! My office is illuminated with fantastic summer sun and the soundtrack accompanying this visual feast is a sonic masterpiece that you ought to know about. 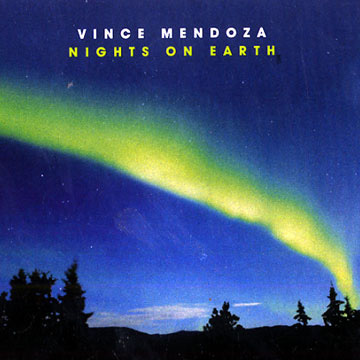 Nights on Earth by Vince Mendoza—gorgeous music that I just keep hearing new things upon each listen. Cello and accordion, a wild guitar player that sounds like Jeff Beck at times, Peter Erskine playing amazing grooves and at the helm of it all is Mendoza’s incredible vision of how music should go. 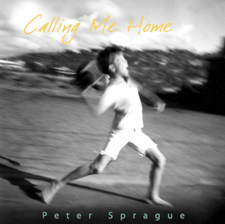 He composes and arranges this music and he’s one of my favorites. Seek it out and give it a spin! I just got a hold of some great stills and video clips from our Road Work Ahead show at The Merc back in April. We’re still putting together the last details for the new recording due out in August of this year. I put together a little 4 minute video clip showing us getting ready for the concert. Check it out here. Road Work Ahead playing live at the Merc. 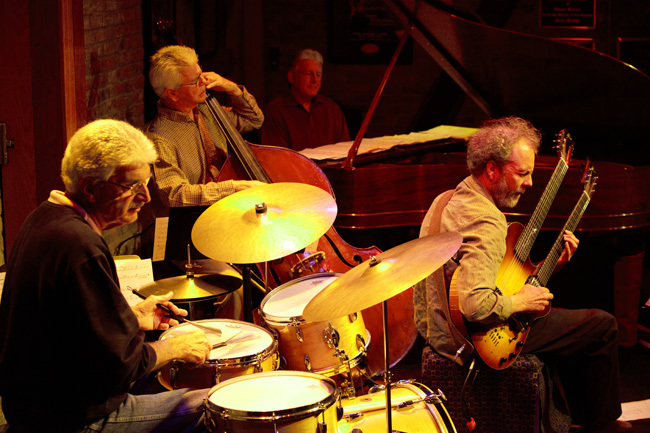 From left to right, Jim Plank, Bob Magnusson, Bill Mays, and Peter Sprague. Check out the vid here. 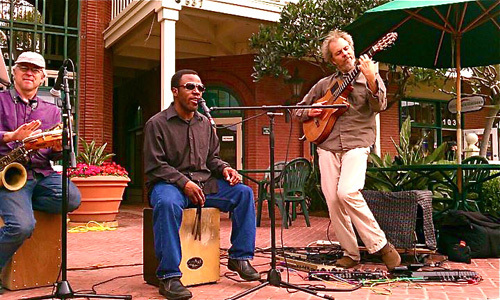 For this week we’re gearing up for a Thursday hit at the Oceanside Art Museum. We did this series last year and it was a highlight! They have a wonderful space for music and all of the cool folks of north county were all there flowing with the music. Of course everyone is invited. The band is Leonard singing, Tripp on the sax and percussion, Gunnar supplying the low end and me on the twin neck. The Sonic Wizards return! I’m playing at Ki’s in Cardiff on Friday and Saturday nights. Joining me on Friday is Bob Magnusson and brother Tripp. For Saturday it’ll be vocalist supreme Kevyn Lettau and me exploring the duo jazz world. Come on out for some great music, great food, and an inspired view of the pacific as the sun dips below the horizon. Tripp, Leonard and Peter getting ready for the O'side hit. Kevyn and Peter prepping for the Ki's gig. Tripp Sprague  sax and flute 8:30 PM Tripp and Bob join me for a early summer night of jazz at Ki's. 8:30 PM A wonderful Saturday night of music with vocalist Kevyn Lettau and me playing our favorite jazz and Brasilian music. 7 PM The trio is heading to the mountains! 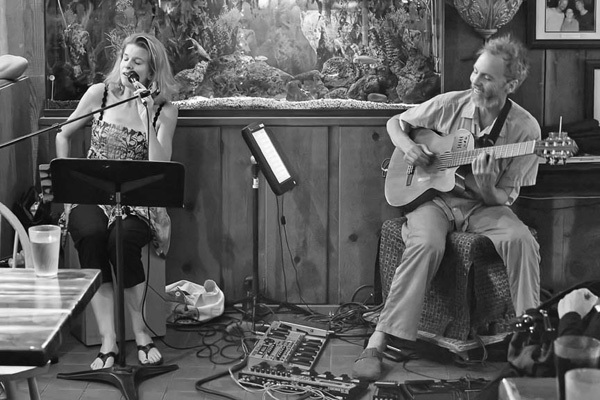 Idyllwild is a great place and we're heading out to share our music. Can't wait! 6 PM Living the good life in La Jolla!